The wristlock is an under-utilized weapon in Jiu Jitsu. Some people think that they are lower-percentage beginner tricks. Some think they are “cheap.” While some Jiu Jitsu practitioners tend to regard with suspicion anything that seems like the fancy, orchestrated techniques of traditional martial arts such as Aikido. However, several high-level Jiu Jitsu black belts have kept the art of the wristlock alive. Fredson Paixao and Terere have shown that it can be a devastating attack that inevitably leaves your opponent slumped on the mat clutching his now-broken wrist. Lately, Atos middle-weight Claudio Calasans has brought back the wristlock, submitting two opponents with his own style of wrist attack in two major tournaments. His first victim was Lucas Leite in the finals of the Abu Dhabi Pro gi 2011. After sliding into a guard pull, Calasans locked up his unique wristlock on Leite by squeezing down with his forarm on top of Leite’s wrist and working his hips into the armbar position. Leite quickly submitted but the damage was already done. A month later, Calasans would hit his now-tradmark wristlock on Wesley Salatiel during the ADCC South American trials in 2011. This time Calasans was on the receiving end of a vicious slam as he tried to lock up a standing guillotine. As he lost the guillotine, he trapped his opponent’s wrist with both hands, squeezing his opponent’s elbow into the hip and pushed up on the hand, causing extreme wrist extension and a quick tap. Notice how this wristlock isn’t a traditional “gooseneck” lock that relies on extreme wrist flexion (see figure above). That style of wristlock is more traditional in Jiu Jitsu. For example, here’s a video of Marcelo Garcia finishing rival Pablo Popovitch with a wristlock in the middle-weight finals of ADCC back in 2005. It was the second time they had met, and the first of their three legendary ADCC final matches. Marcelo uses his body weight to trap Popovitch’s wrist and compress it, leading to flexion that threatens to break the small carpel bones of the wrist. The next video in this entry is Rigan Machado demonstrating the flexion style wristlock. Notice how Rigan isolates the opponent’s arm at the elbow with his arms, keeping the forarm pressured between his body and the floor. This is a very secure attack that, like Calasans’s wristlock, attacks one of the most fragile parts of the body with the full weight and strength of your body. 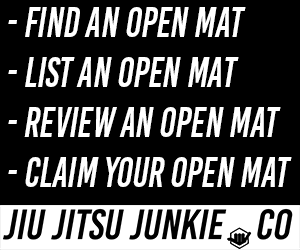 Finally, we have two similar variations from mount taught by Kevin Howell (co-author of my two favorite Jiu Jitsu books) at Fight Zone USA and Ryron Gracie, instructor at Gracie Torrence. I like this version because it relies on your opponent’s proper defense to set it up, this time from a collar choke. Again, the arm is isolated, this time with a figure four on the arm, and the wrist is isolated and pushed into flexion. Kevin shows how the basic wristlock is done, and Ryron shows some additional details with a different finish. Now that we’ve seen how well they work in high-level Jiu Jitsu competition, maybe wristlocks will be seen in a new light. I my opponent’s don’t catch on, though, because they friggin’ hurt.